Home > Shoulder Bags > Shoulder Bag Small 8.25"x7.5"
This stylish small (8.25"x7.5") canvas shoulder bag has ample storage space and includes a carry strap. It comes with one removable flap ready to print on. This bag has an inside storage pocket and nice size main compartment. Extra flaps are available and are sold separately. 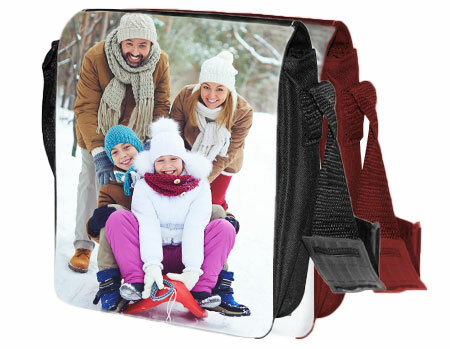 You can use sublimation or heat transfers on the flap. The flap front is white polyester with a black back. Imprintable Area: 7 2/8" x 9 5/8"